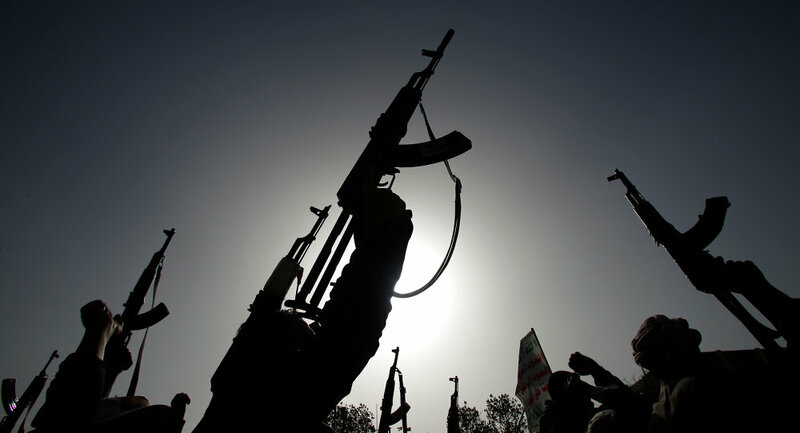 Iran has repeatedly denied claims of the alleged arms supplies to the Yemeni Houthi rebels, however, has made no secret of its political support for the Shiite movement. The commander for southwest Asia of the US Air Forces Central Command Jeffrey Harrigian has alleged that Iran had provided the Yemeni Houthi rebels with a ballistic missile capability due to which they carried out an attack targeting Saudi Arabia. The claim comes almost a week after Saudi Arabia intercepted a missile launched by the Houthis, prompting the Saudi-led coalition to call the attack an "act of war" and hold Tehran responsible for arming the Yemeni rebels, a claim repeatedly denied by the Islamic Republic, although it makes no secret of the country's political support for the Shiite movement. Several top US officals, including the US president, have also blamed Iran for the Houthis' attack, with Envoy to the UN Nikky Haley calling for holding Tehran accountable as a ballistic missile launched by Yemeni rebels targeting Saudi Arabia in July 2017 was allegedly an‎ Iranian Qiam. Iran has commented on a claim by Saudi Arabia’s Crown Prince Mohammed bin Salman who had blamed Tehran for alleged arms supplies to the Houthis, calling the allegations "contrary to reality." Most recently, the Iranian president, Hassan Rouhani has stated that Yemeni Houthi rebels' missile attack targeting Saudi Arabia was a "reaction to aggression," adding that Riyadh's belief in Tehran being its "enemy" is a "strategic mistake."